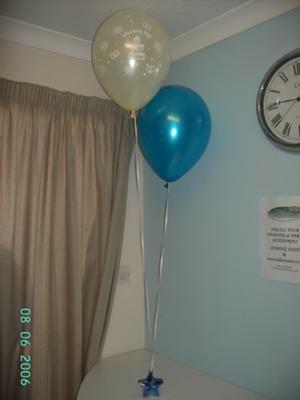 I want to hang 3 balloons on a stand. On what do I hang the tiers without falling? I am afraid I don't fully understand your question. If you'd like to make a 3 balloon centerpiece, please have a look at our step-by-step instructions for the Balloon Bouquet 'Simple & Elegant'. If this doesn't answer your question, please submit a comment and explain a bit more what you'd like to know.